Hilltop Estate Garden was surely one to remember. 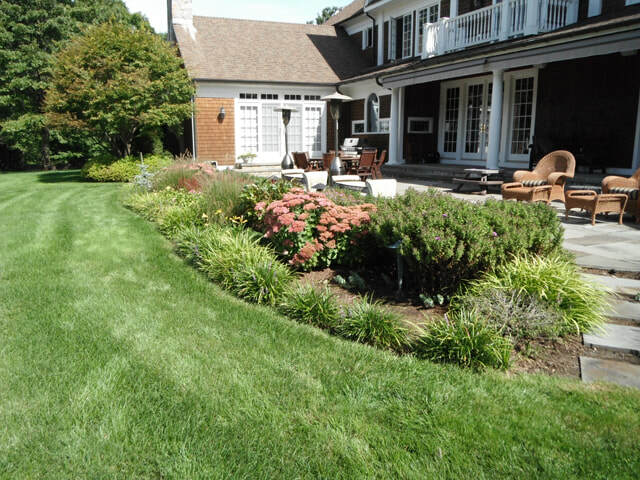 We had a lot of landscape to work with in this Landscape Design Project in Ridgefield, Connecticut. The builder installed a new construction landscape in 2004, our work involved re-envisioning the garden to enhance the estate like setting for this majestic home. Over the past eleven years the gardens have expanded to include the pool, walled garden and orchard. 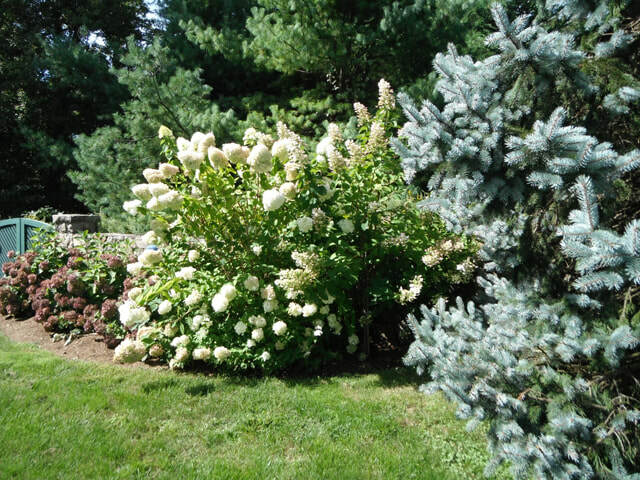 As the garden is located at one of the highest points in Ridgefield, altitude and the cold winter temperatures were a driving factor in the landscape plan. The patio garden over flows with color with daylilies and dahlias all framed with dwarf alpine evergreens for winter beauty. The pool garden with drifts of roses, grasses, coneflowers, is a backdrop to the pool and the foreground to the walled garden of hydrangeas creates the feeling of a poolside resort. The view from the kitchen is through the border of lilacs to the orchard set in a meadow of native grasses. These design changes over the years has move the garden from one of little interest to a garden worthy of this gracious home. Our Landscape Design Team is very familiar with pool patio construction. 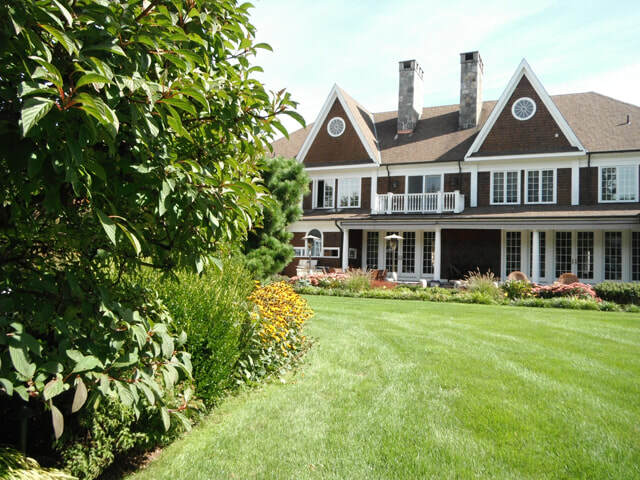 We've handled many different projects in the Ridgefield, CT area. Our stonework professionals are excellent at custom masonry projects. Our whole team at Growing Solutions thoroughly enjoyed working on this Ridgfield Landscape Design project and it came out beautifully. Interesting in getting your pool patio redesigned? 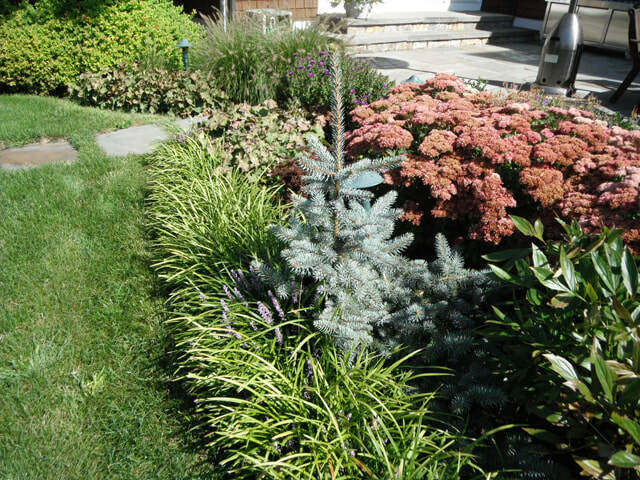 Simply contact our Landscape Designer to setup your consultation.